Kindly visit http://www.doodlebuddies.wordpress.com for the complete post and information. This is one of the most asked questions I receive in my blog. There are several other places too which I will address in another post. what uses can certain products adapt to. Let me clarify one thing in the very beginning of this post ~ I am NOT a hoarder. Ok, so now that we have THAT out of the way, let me explain, that over the past 3 months, while the house was frequented by a regular stream of visitors, I still managed to utilize some of the shopping time with them to pick a few craft goodies for myself too. Carrefour at Mall Of the Emirates. 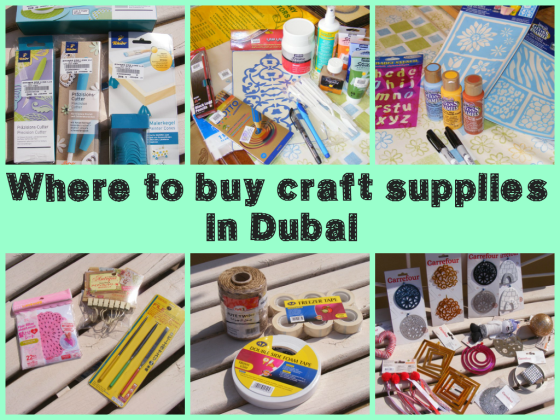 I have always preferred to buy craft materials from online stores. But thanks for providing details of Carrefour hypermarket, now I can physically purchase it from the store. I would also visit Ace Hardware and Dragon mart for craft related items. These are good suggestions.